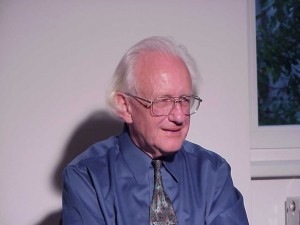 In this column, Johan Galtung, rector of the TRANSCEND Peace University and author of "50 Years - 100 Peace and Conflict Perspectives" (www.transcend.org/tup), writes that waging war turns states into criminals. VERSONNEX, France, Oct 24 2013 (IPS) - Nobody has brought this simple message to the world like the Perdana Global Peace Foundation in Kuala Lumpur, Malaysia. As the leader, Mahathir Mohamad, Malaysia’s fourth prime minister, says: “Peace for us simply means the absence of war. We must never be deflected from this simple objective”. So they organise compelling exhibitions and conferences to highlight the atrocities and horrors of war, starting with World War I, often in cooperation with the Muhammadiyah Yogyakarta University in Indonesia. A very clear message from the Southeastern part of the world to the Northwestern part: Stop It! All your rules of war add up to its legitimation: wars get ever worse as measured by the percentage of non-combatant, civilian casualties – from about 10 percent in World War I to 90 percent in the Vietnam war and other wars at the end of the 20th century. They dare refer to crimes as “unintended consequences” or “collateral damage”. Take Norway, a “peace nation”, as an example, not the United States and Israel with their concept of being chosen, and their exceptionalism. See what Norway does against the spirit of U.N. Security Council resolution 1973 aimed at protecting civilians, promoting a cease-fire and mediating a political solution in Libya. And against U.N. Charter Article 2 outlawing the use of war. But they did get regime change. Norway obeyed orders, doing its part. This is criminal activity, like mass murderers gone amok shooting wildly, killing whatever moves. Who ordered it? The Labour Party prime minister, foreign minister and defence minister in a “red-green” (meaning brown) coalition. Who did it? The pilots. According to the Nuremberg Tribunal, the latter cannot claim they only followed orders; and according to the Tokyo Tribunal the former cannot claim that they were unaware of what happened. It is the duty of the pilots to assess the legality of what happens, and of the politicians to know what happens. The case is now being made at the European Human Rights Court in Strasbourg, the International Criminal Court (where Norway does not enjoy U.S. protection), and the Norwegian Constitutional Court. They will encounter incomprehension in Norway: We, the perfect ones? Crimes? But we must globalise crimes against humanity – a crime committed somewhere is a crime committed everywhere, like in the case of Chilean dictator Augusto Pinochet. A criminal can in the future be arrested in any state in the world, extradited or tried where he is arrested. The Mother of parliaments in London showed the way as it also did for the war in Syria; a solvable crisis. This would limit their freedom of travel as it already does for some top U.S. and Israeli politicians. But beyond that there is another approach: excommunicating such states from the inter-state system and the U.N., breaking or downgrading bilateral diplomatic relations. Trade is not the issue; state legitimacy, unless that state itself takes action indicting the “warlords”, is. The present system gives a U.S. president the right almost single-handedly to press the nuclear button. Where does this madness come from? From the Westphalia 1648 “peace” giving states the right to declare war? That does not explain the concentration of the “right” to engage in mass murder at the top of the state pyramid. The Abrahamic god kills massively – more in the Torah and the Bible than in the Qur’an; to be a King Dei gratia, by the grace of god, bestows the same right on kings, transferred to their successors – the presidents and prime ministers. Not strange that we find most belligerence in the West. Democracy or not, it does not matter. The “grace of god” was transferred to the people, in vox populi vox Dei, leading to the grotesque idea that democracies have more of a mandate to kill. As if democracy was about killing and not about the non-violent transfer of power and resolution of conflicts. The exact opposite of, and the remedies, to war and killing. We are moving in this direction. As inter-state war become more rare, wars will stand out as exceptional, illegitimate, and illegal under the U.N. Charter. The old laws of nations applied to inter-state wars, but that distinction loses its significance as the world evolves. R2P – “responsibility to protect” (which authorises military intervention as a last resort) – kills in the territory of other states, unlike self-defence by defensive military in one’s own. Could ulterior motives be behind the dubious idea of killing people to save people? Have all other means really been used? Not diplomats trained in promoting the interests of their own nation, but massive non-violent invasion from the outside as a buffer, protecting some while impeding others? Deep mediation applied to all parties to the conflict, not only two chosen to fit the Abrahamic search for God vs Satan, translated into People vs Hitler and his likes; readily issuing Hitler-certificates? Not strange if patriarchy and patriotism are yielding to parity and globalism. The Fifth Commandment, Thou shalt not kill, was for in-group only. But today we are ever more one big in-group. Using states to kill makes the killers outlaws. Criminals. Stop it.